I'm always amazed at what others come up with. 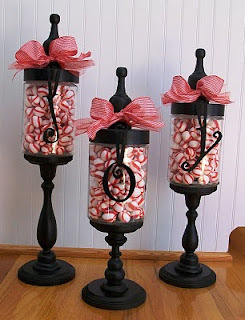 I love blog sufering the craft blogs b/c I always find something cute and easy that I can do later. For example I found this: Joy Apothecary Jars. How easy are those to make!? Go to Uncommon for the full tutorial.